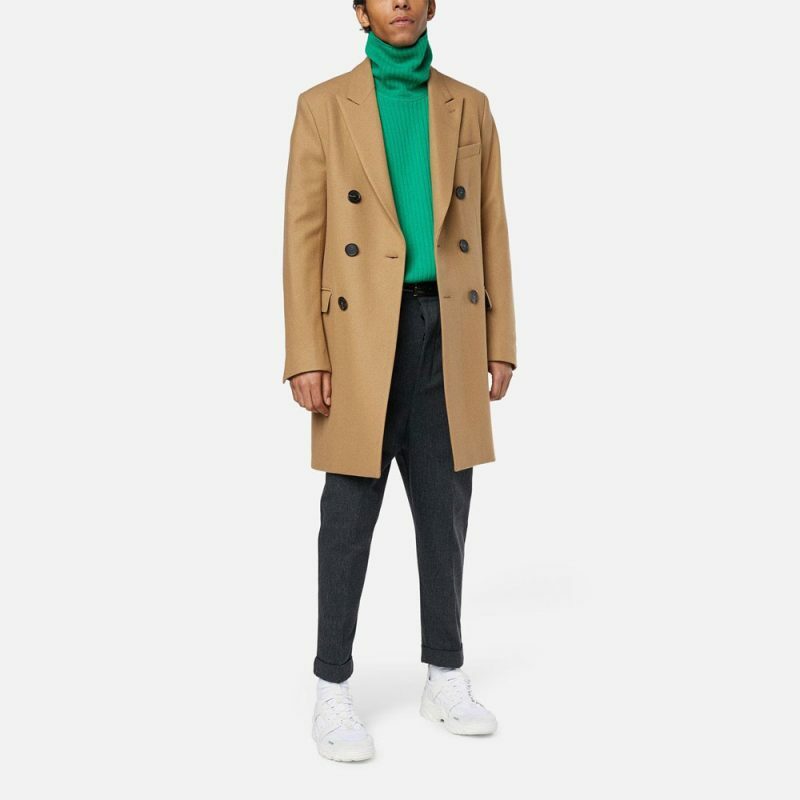 Truth to tell, it’s not always quality that costs so much when we talk about clothes by established fashion houses and retail conglomerate. No one understands this unwritten truth as good as those who’ve been working in the industry pushing the products. 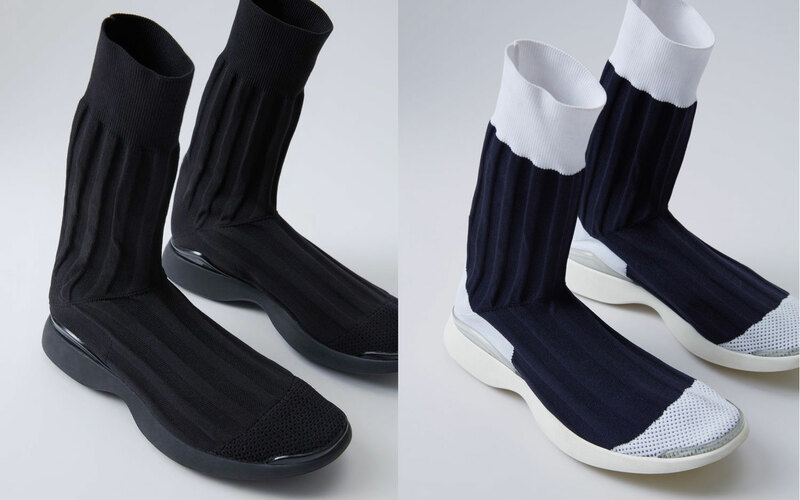 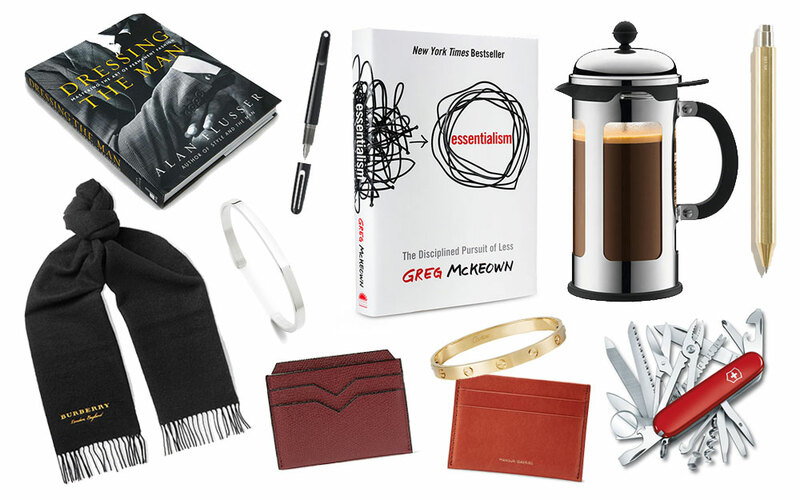 If you’re looking for a compass that tells you the products that are actually worthy of splurging, just look at what fashion insiders buy. 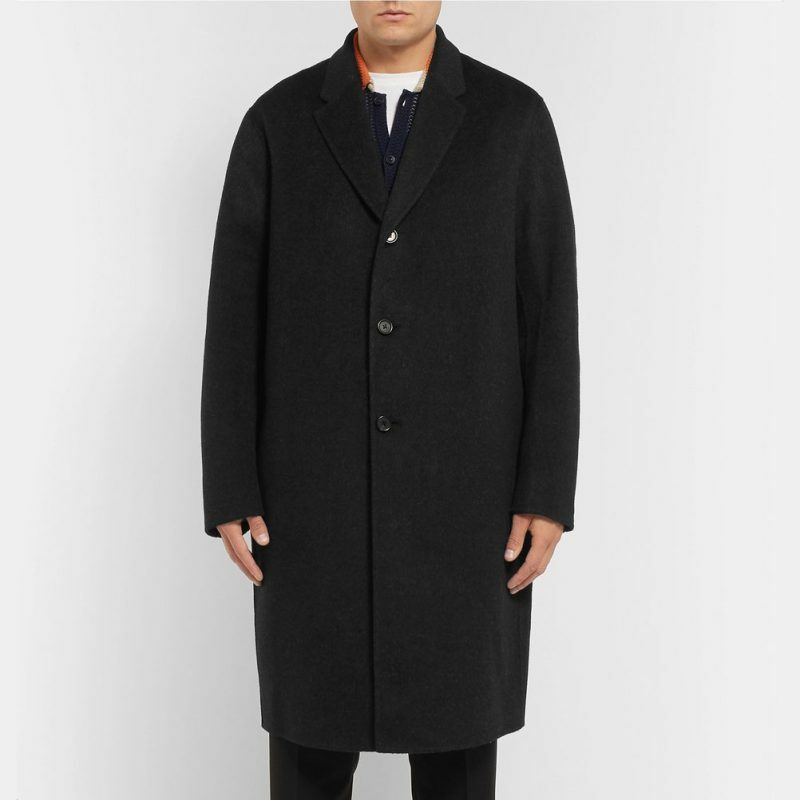 Single-breasted coat in black and grey micro-fantasy wool-blend two buttons coat. 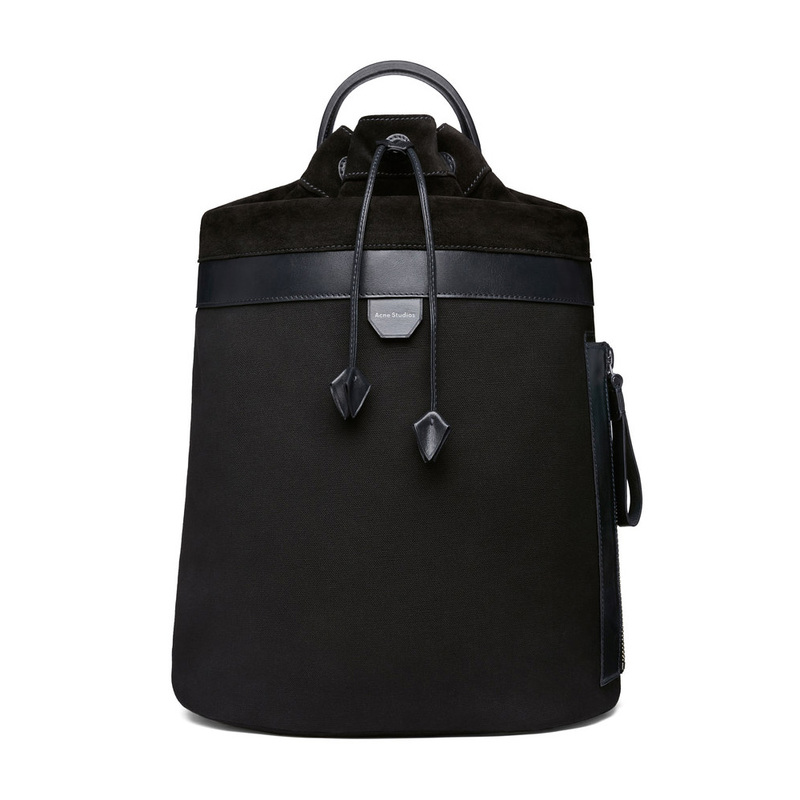 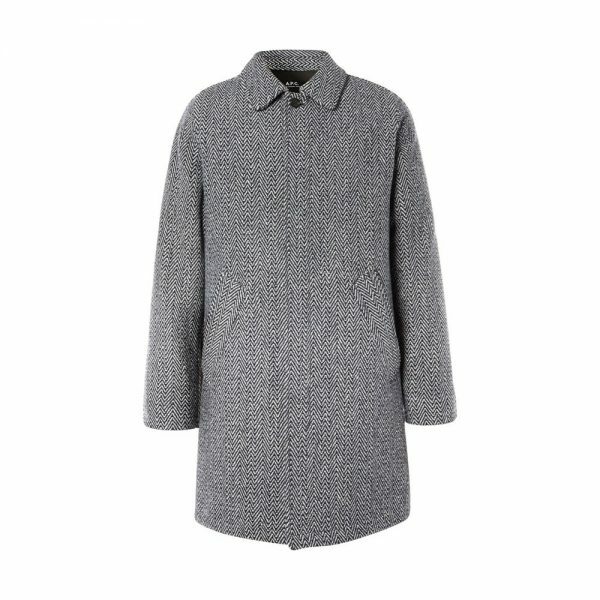 Made of 70% wool, 20% polyester and 10% polyamide. Made in Romania. 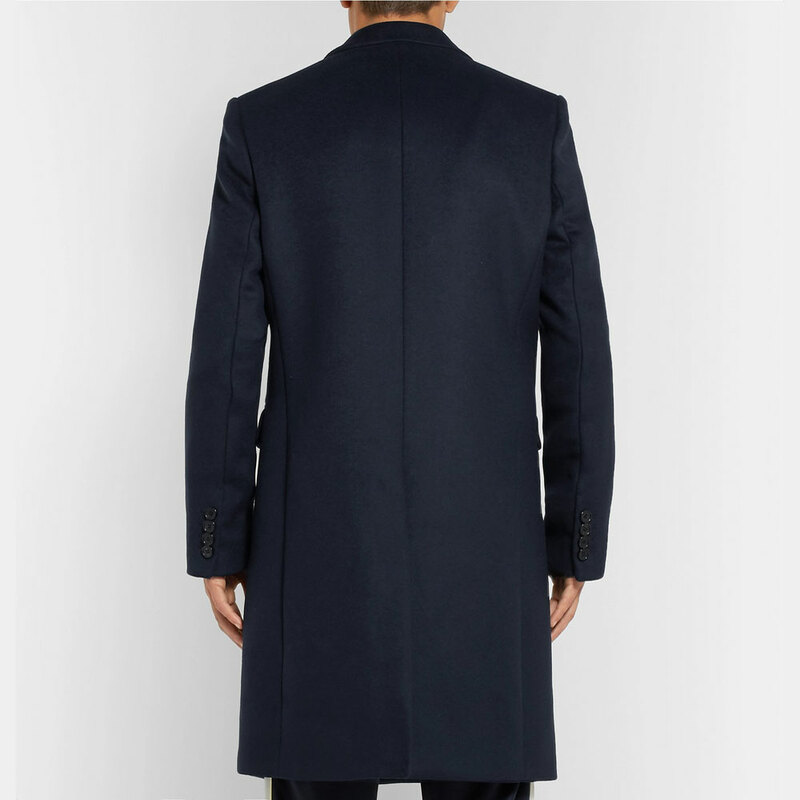 Double-breasted peacoat made of camel wool broadcloth. 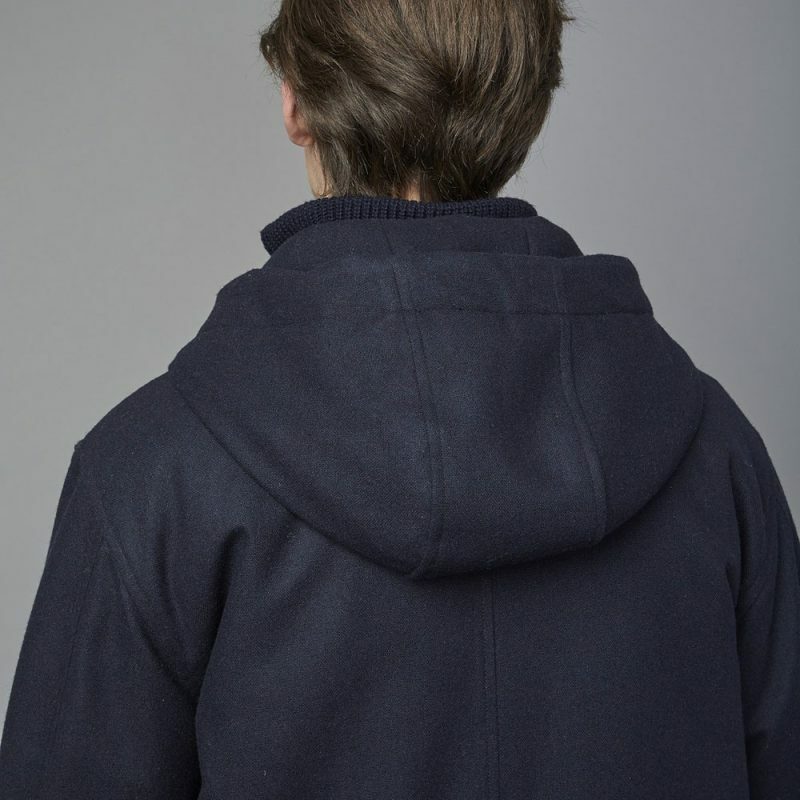 80% virgin wool, 20% polyamide. 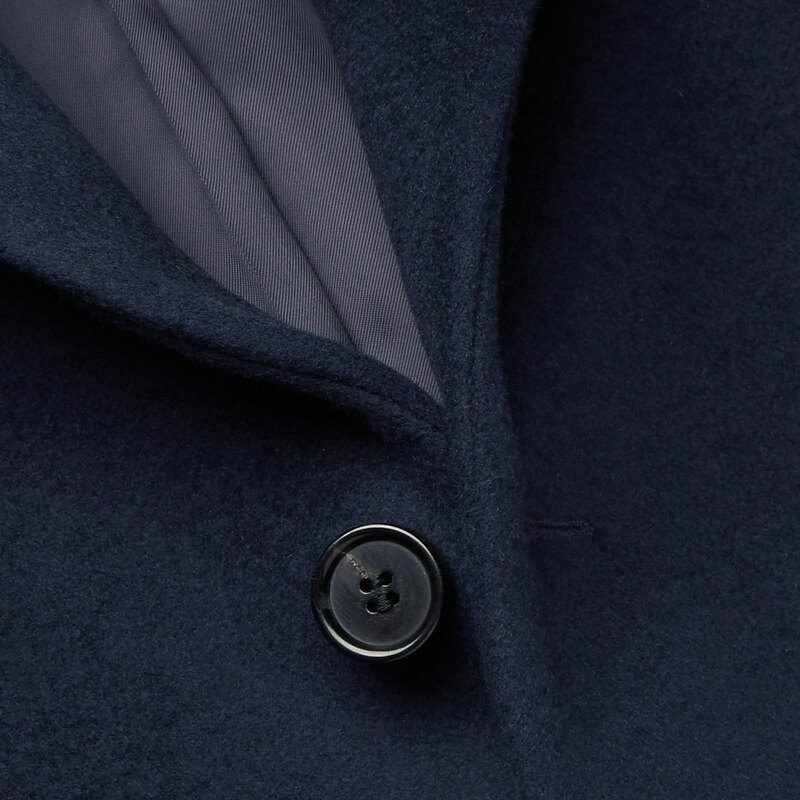 Featuring horn buttons and fully lined. 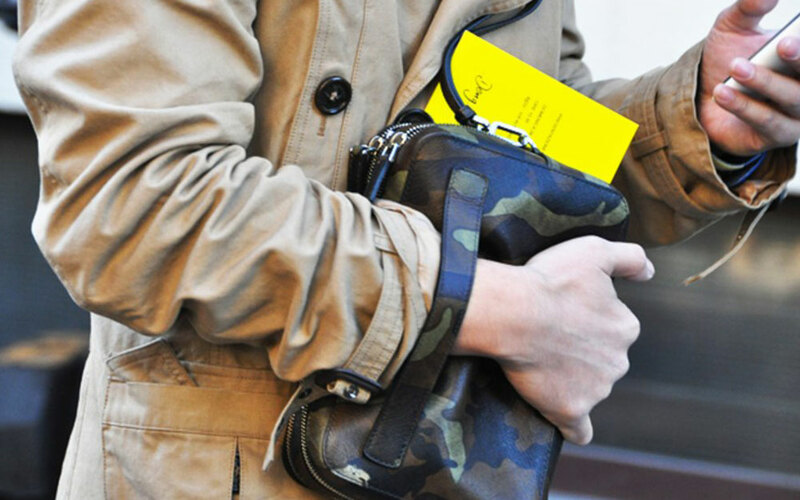 Made in Romania. 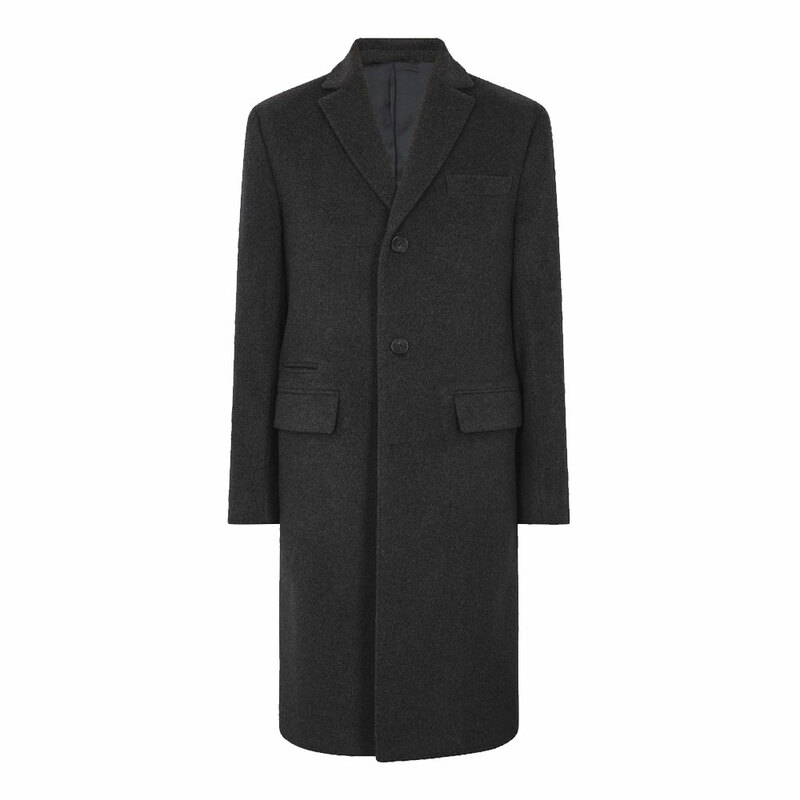 Woolcloth and cashmere blend coat with tailored collar and three-button fastening. 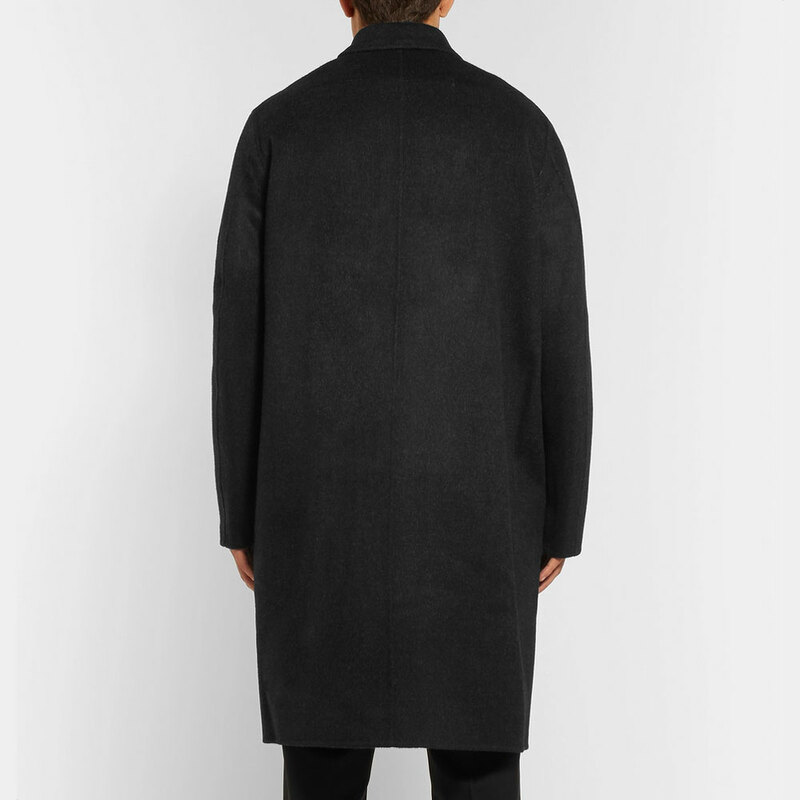 Side pockets with flap and slit at the back. 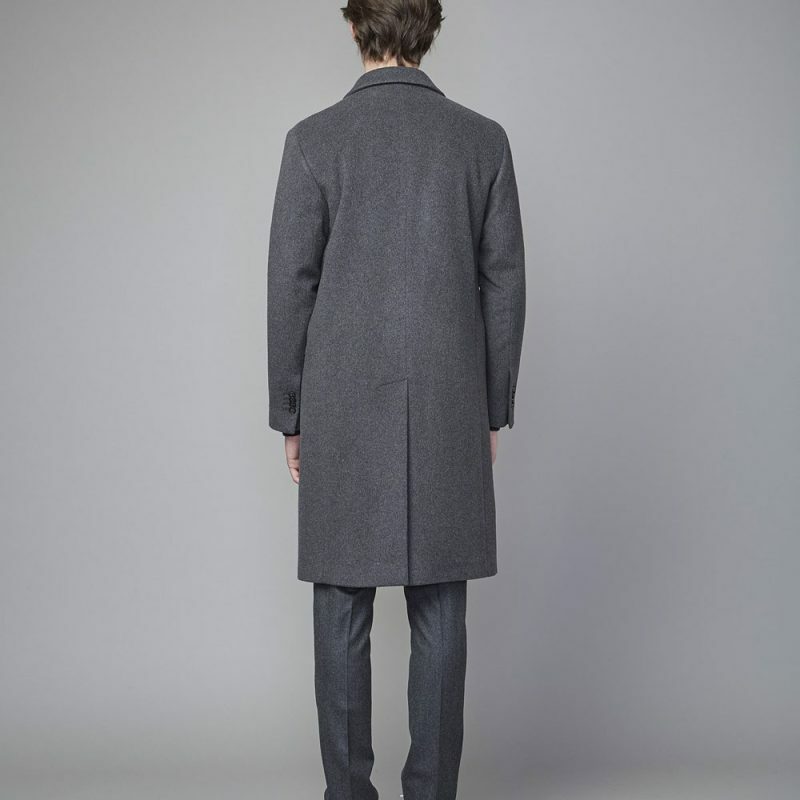 Straight cut woolcloth coat with classic collar and raglan pockets fastened with a button. 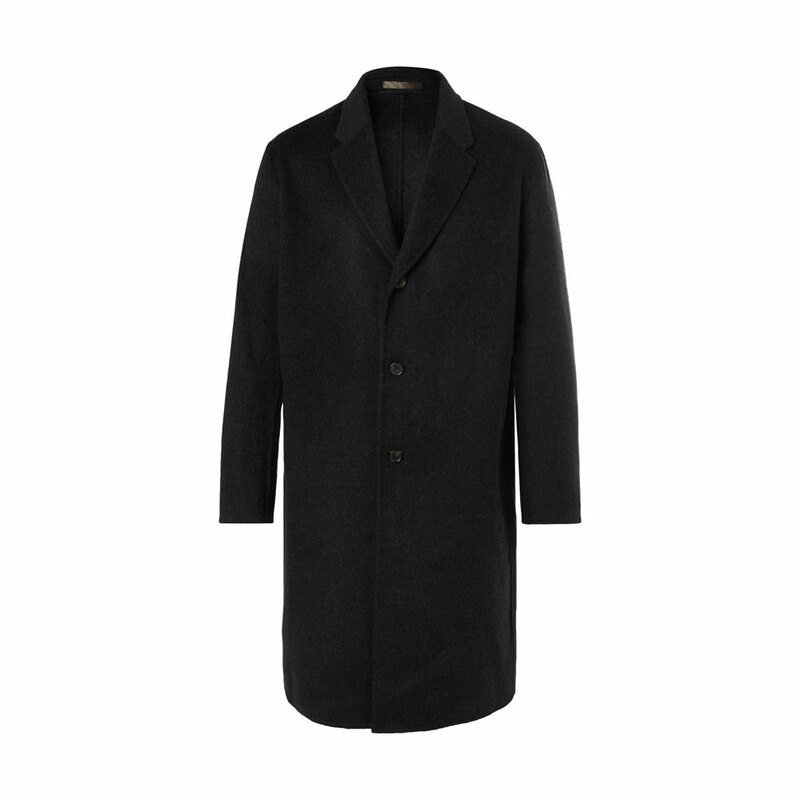 This coat is made from black wool and cashmere-blend – the neat simplicity of its cut means it looks good over practically anything. 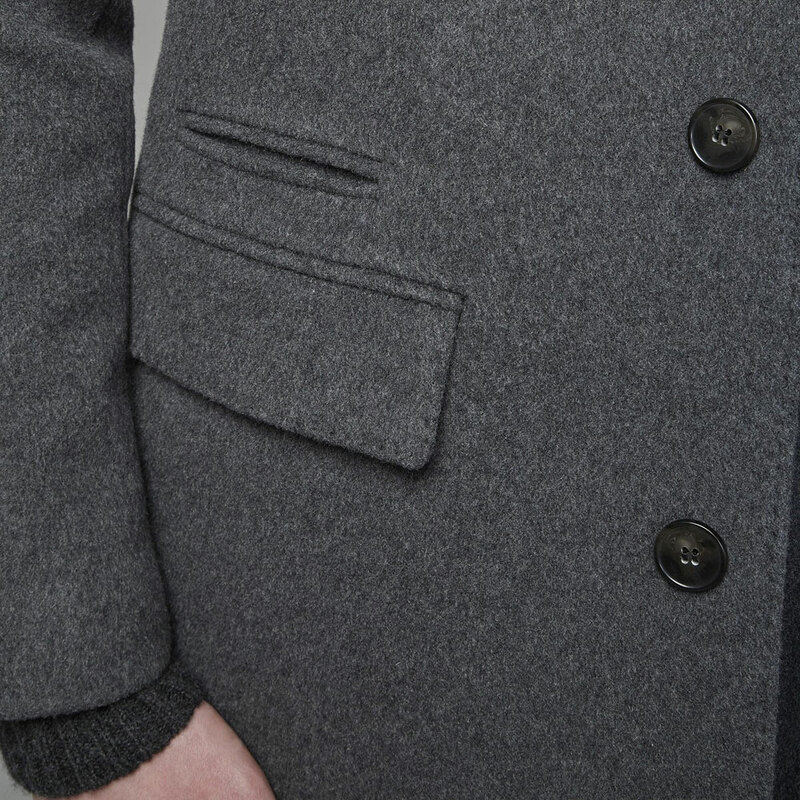 It’s finished with handsome horn buttons and the brand’s signature emoji emblem. 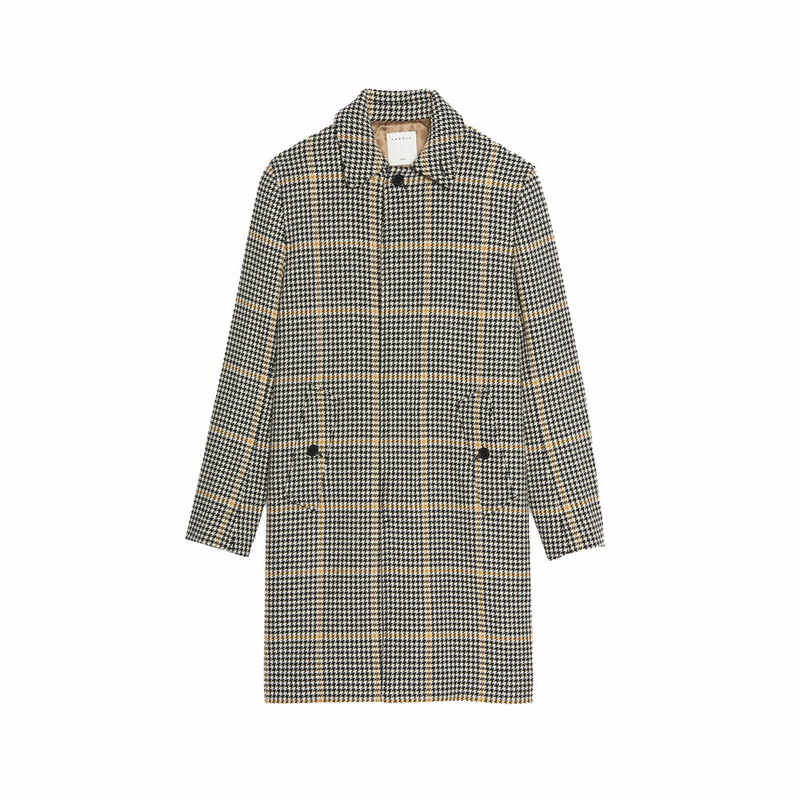 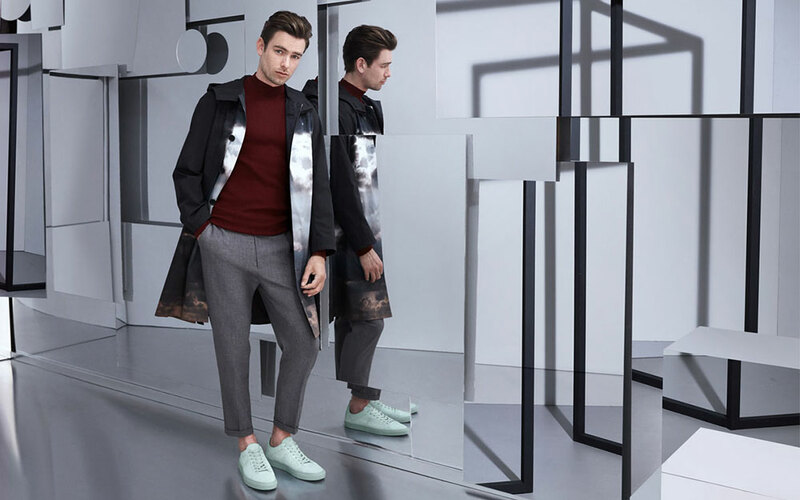 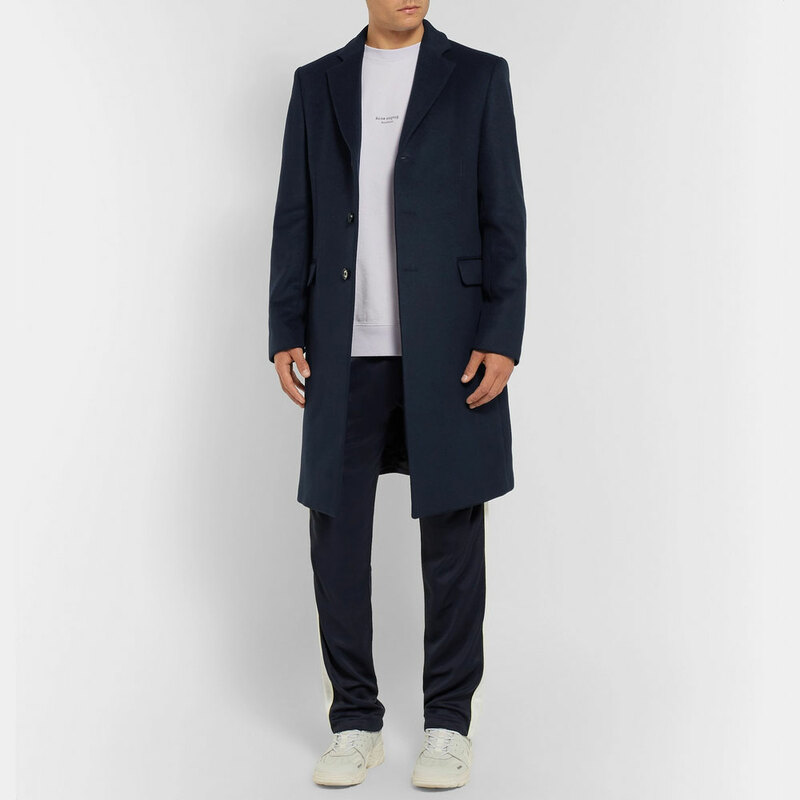 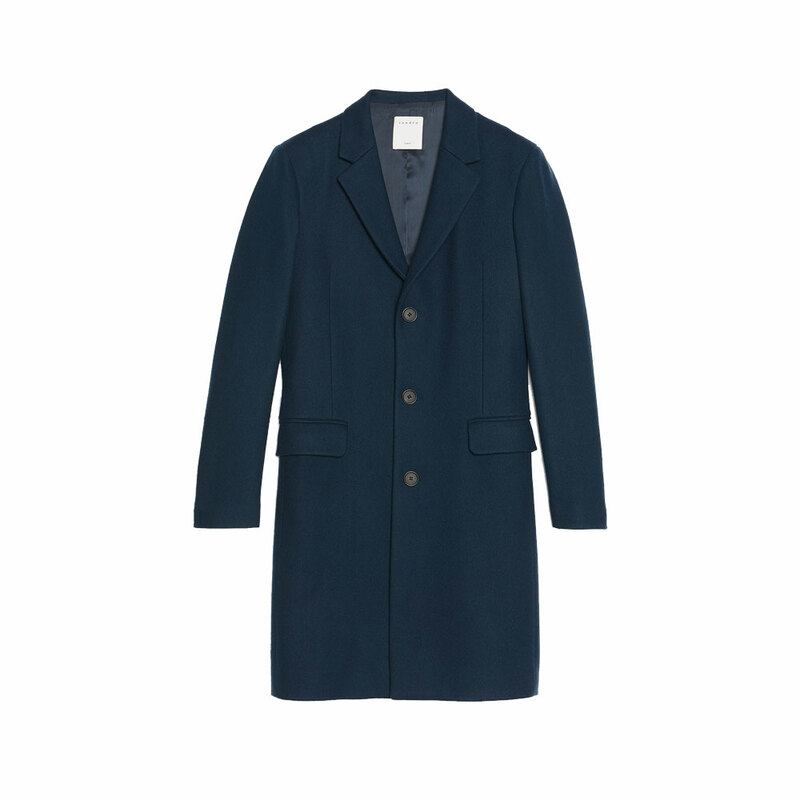 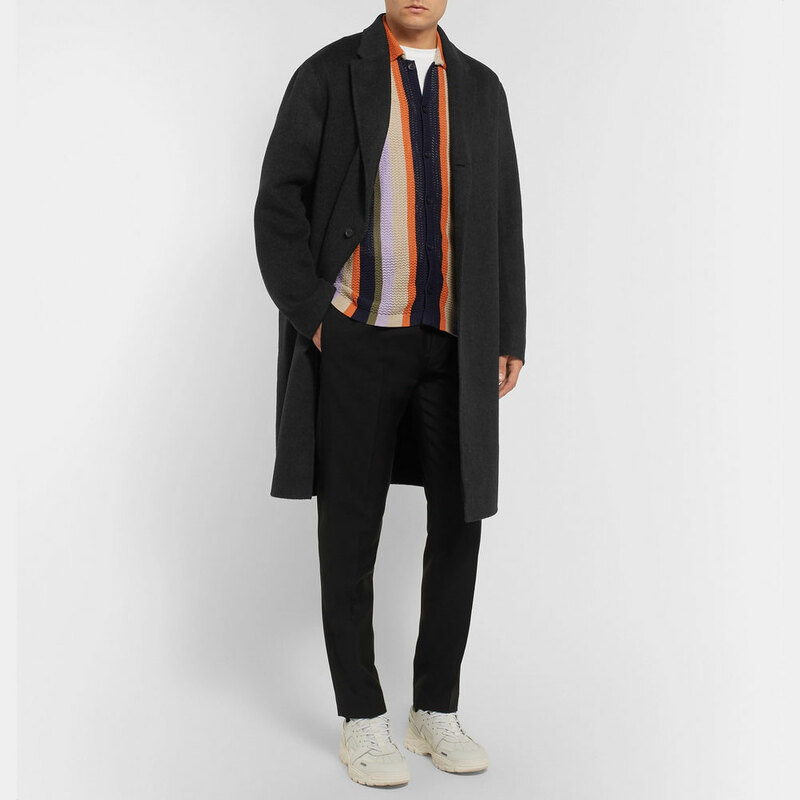 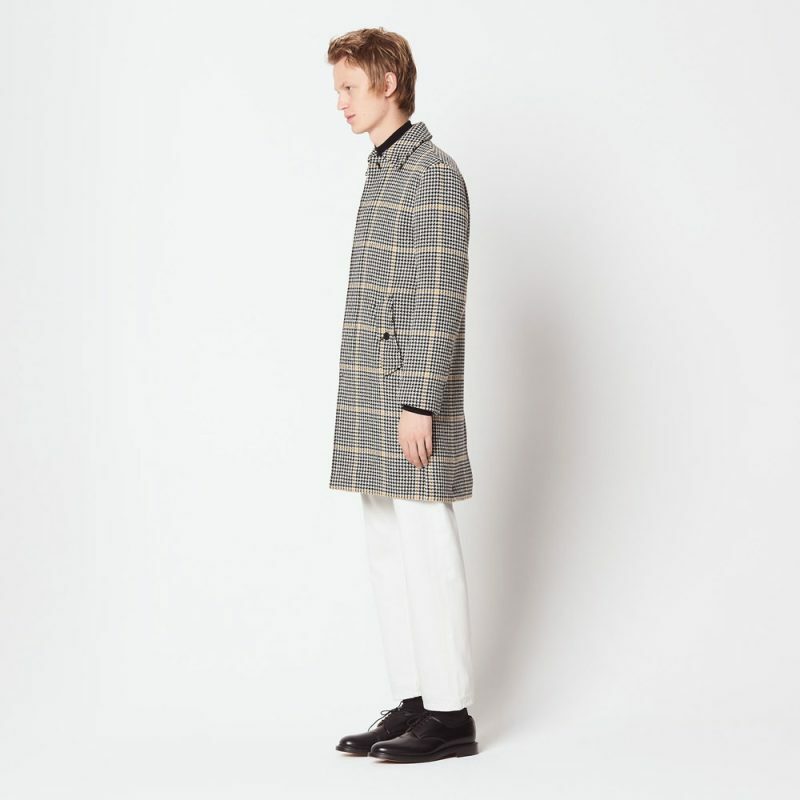 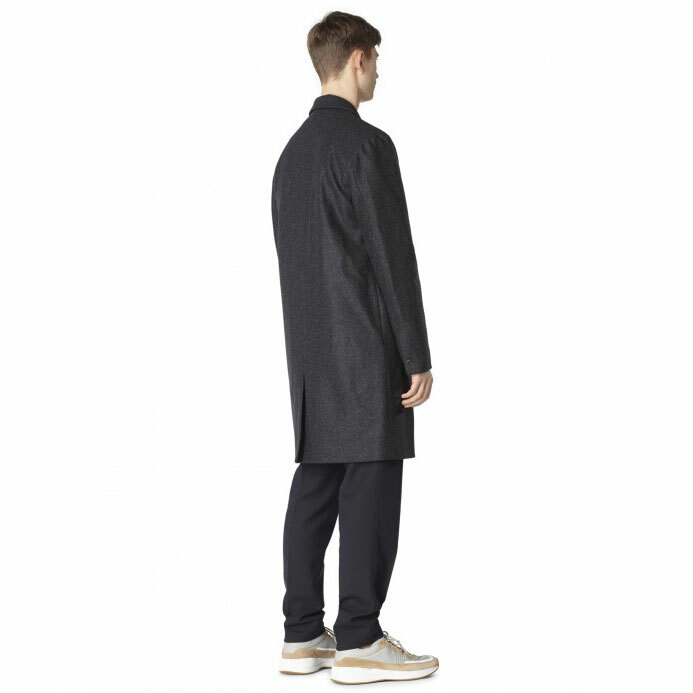 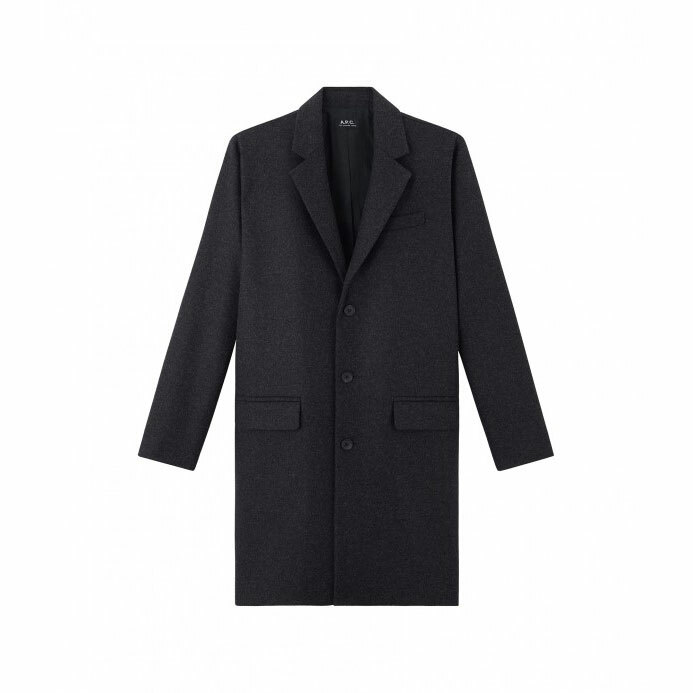 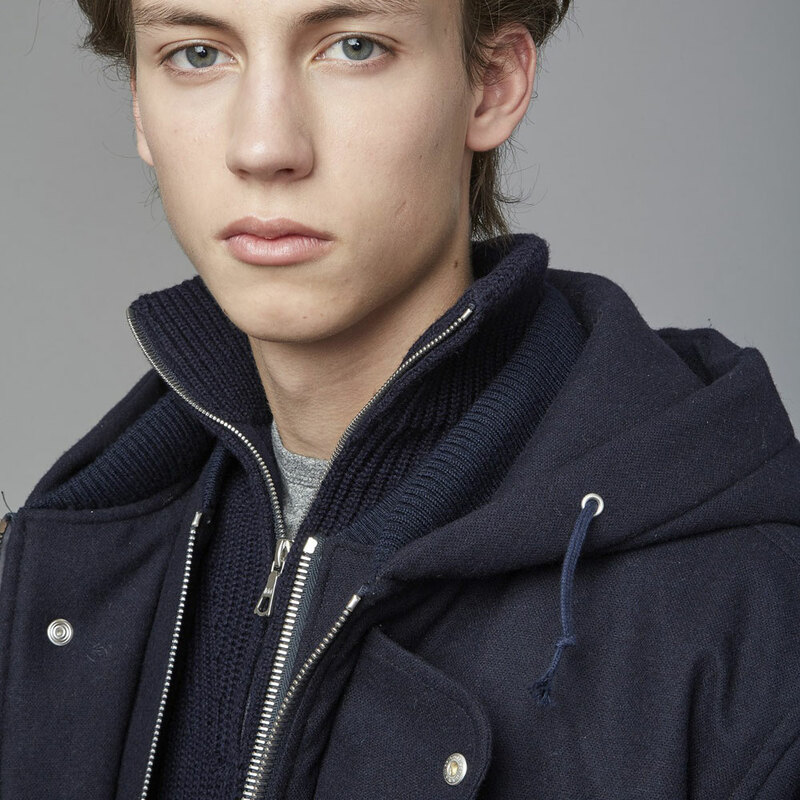 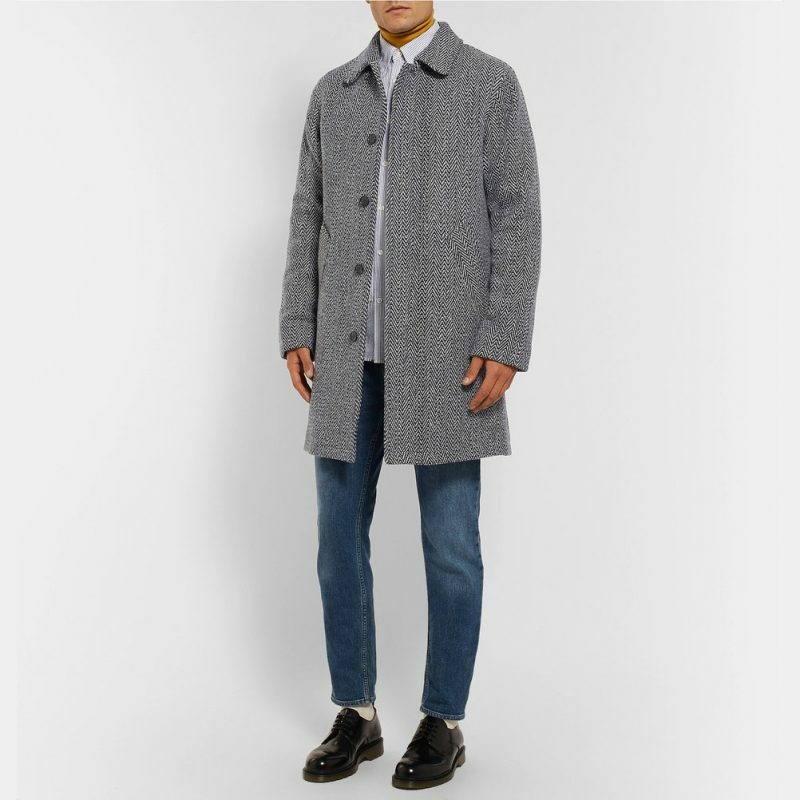 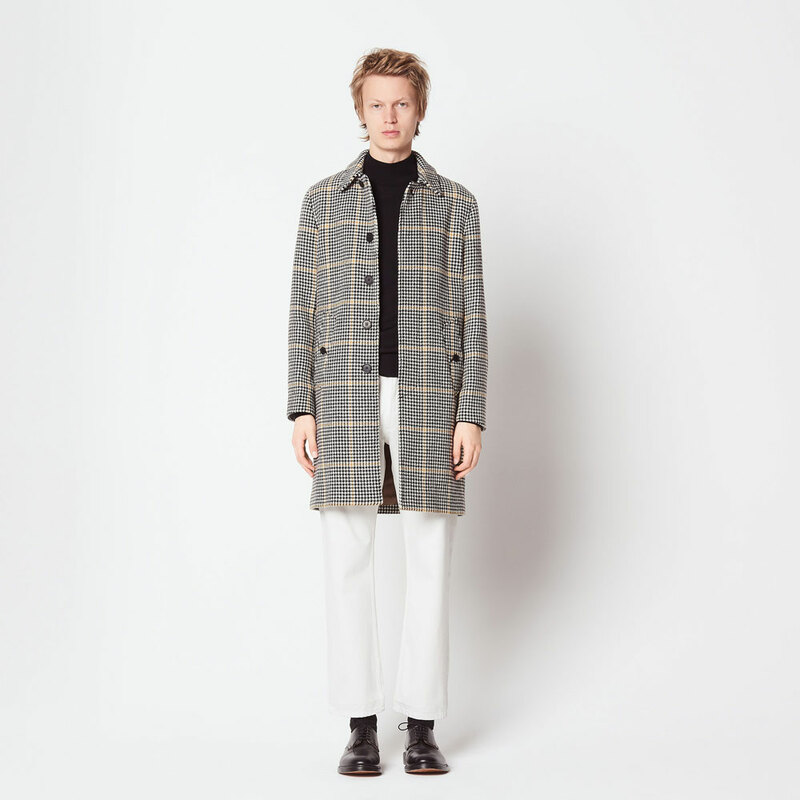 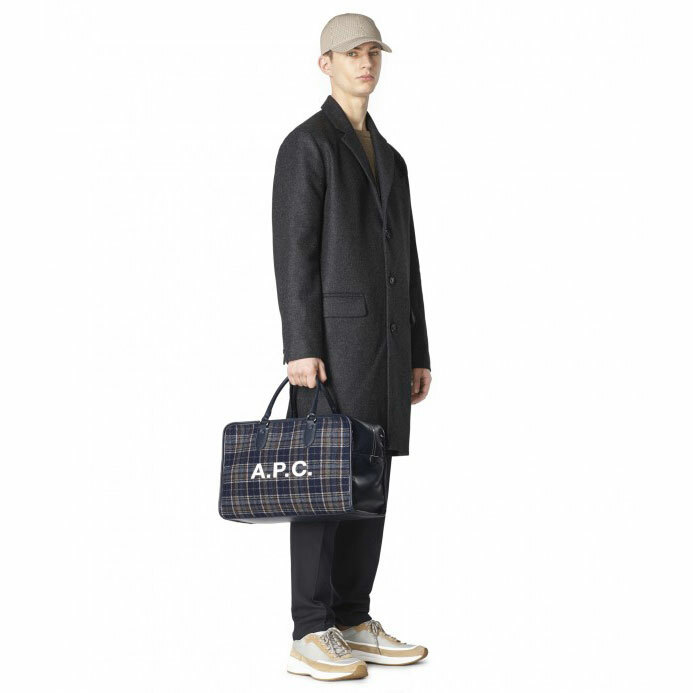 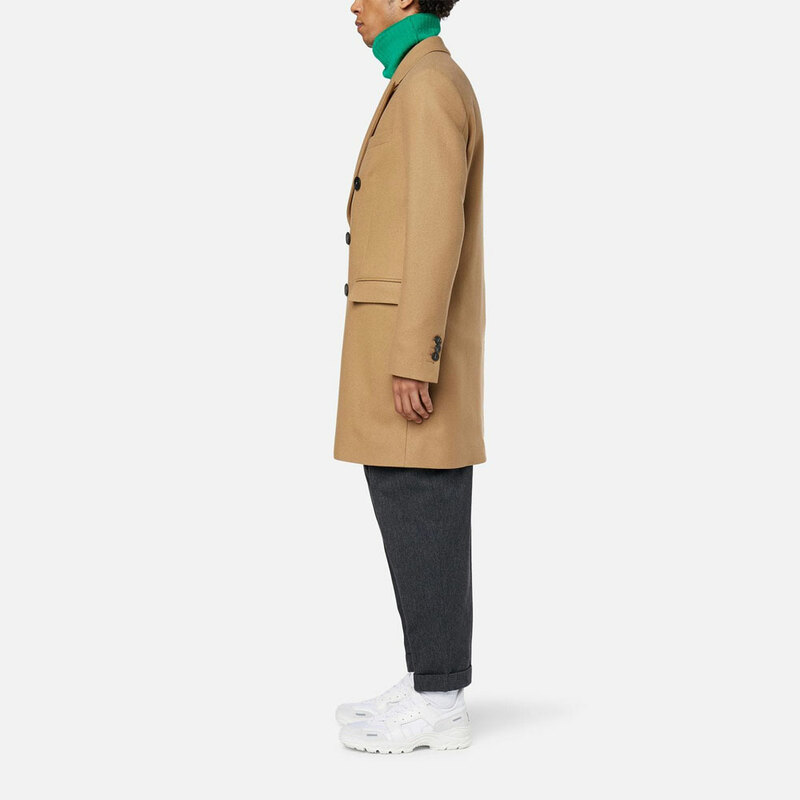 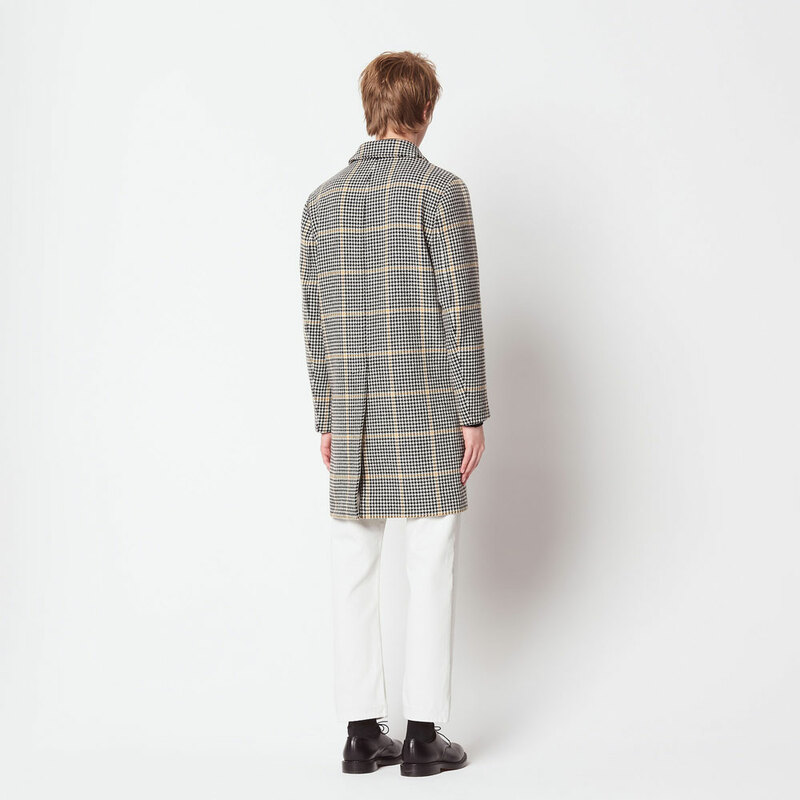 This coat by Acne Studios is a worth investment – it is versatile enough for both casual wear and tailoring. 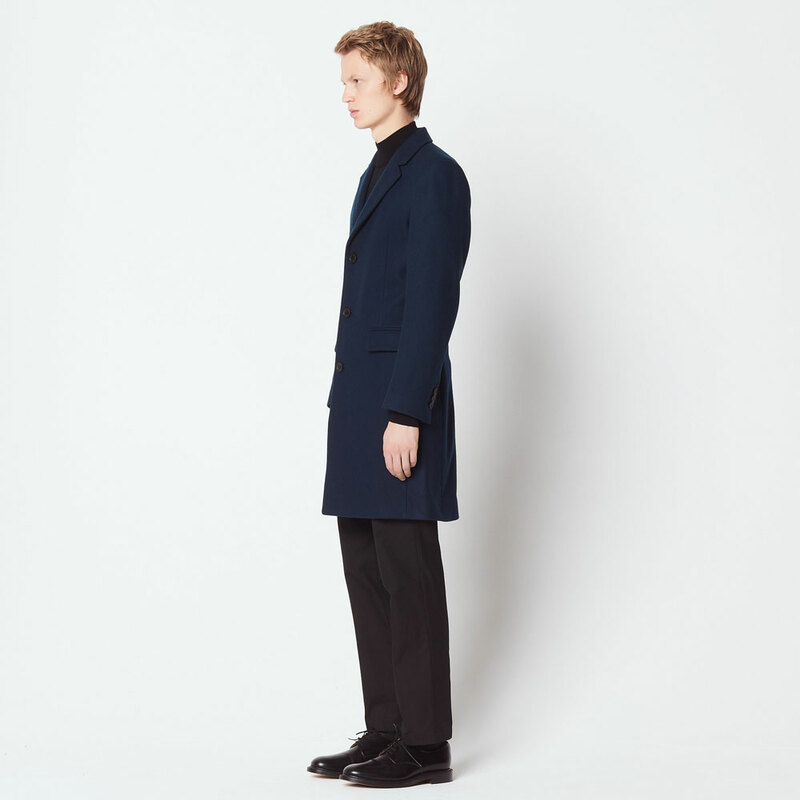 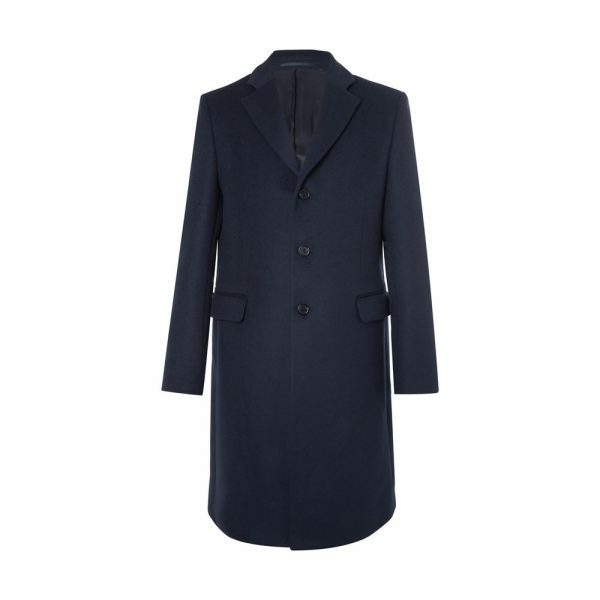 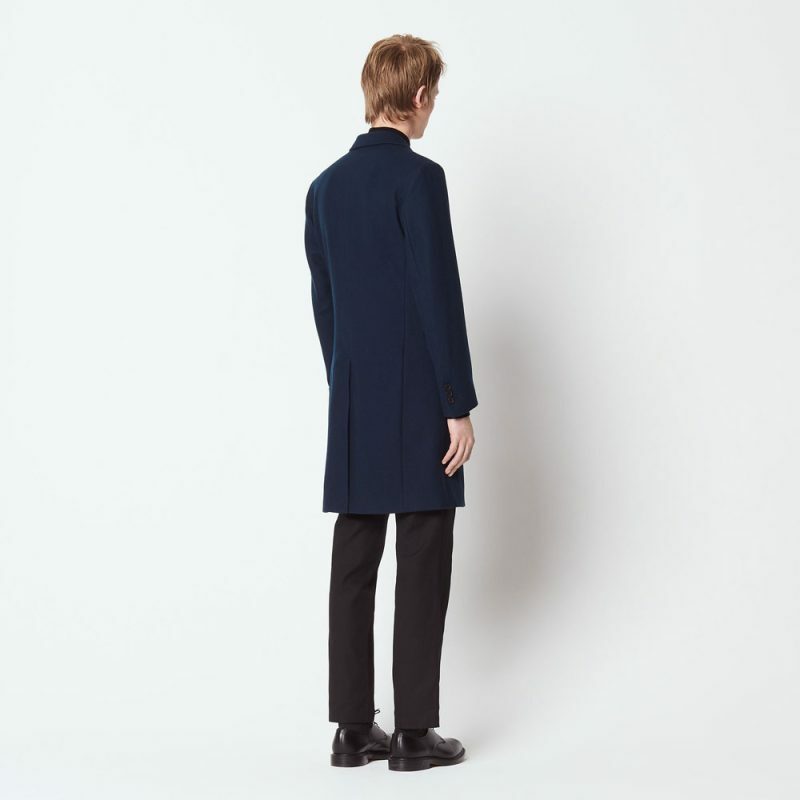 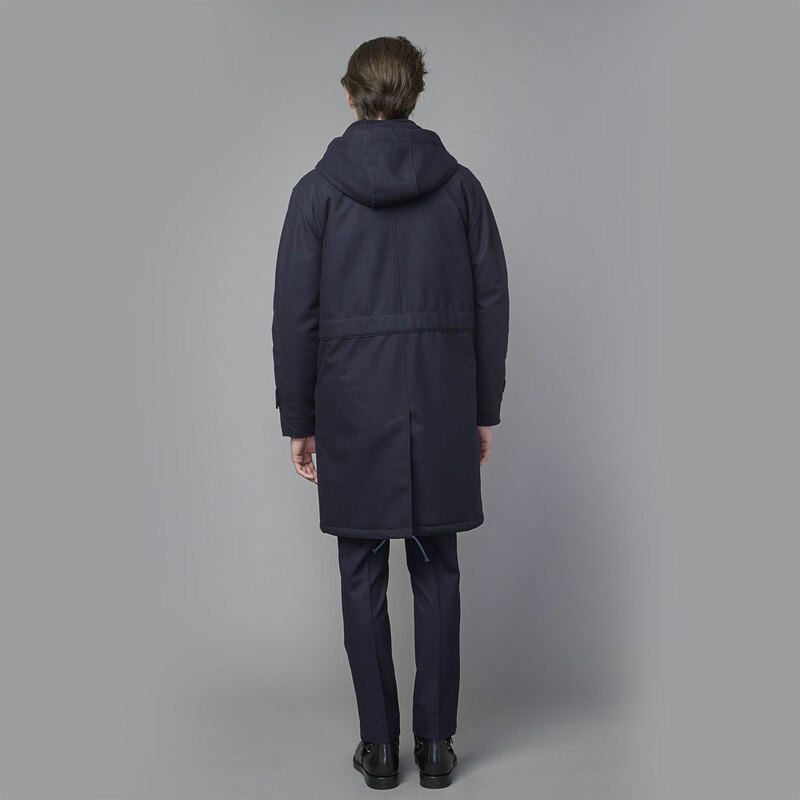 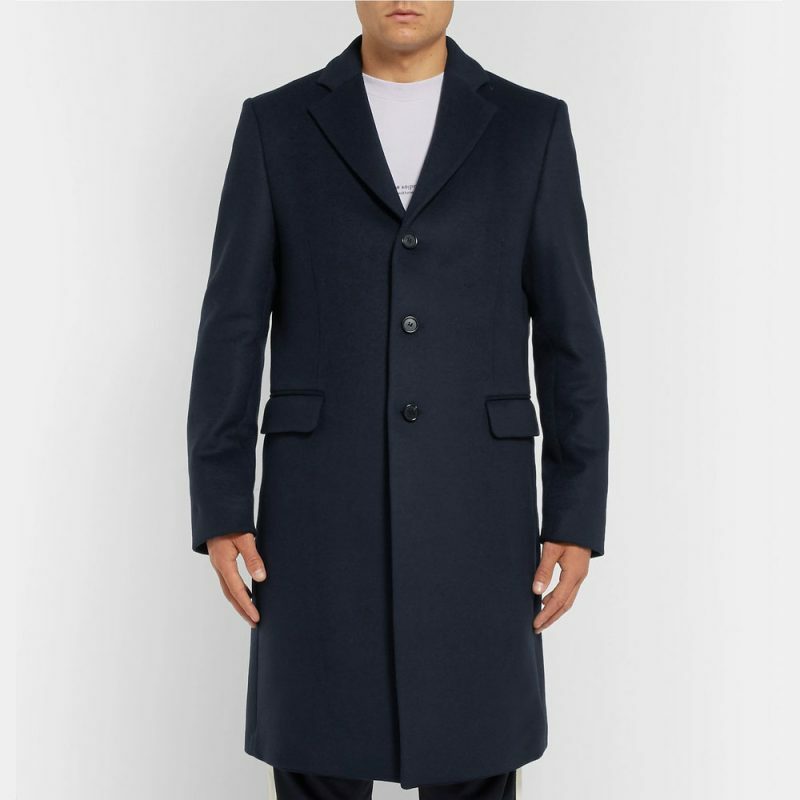 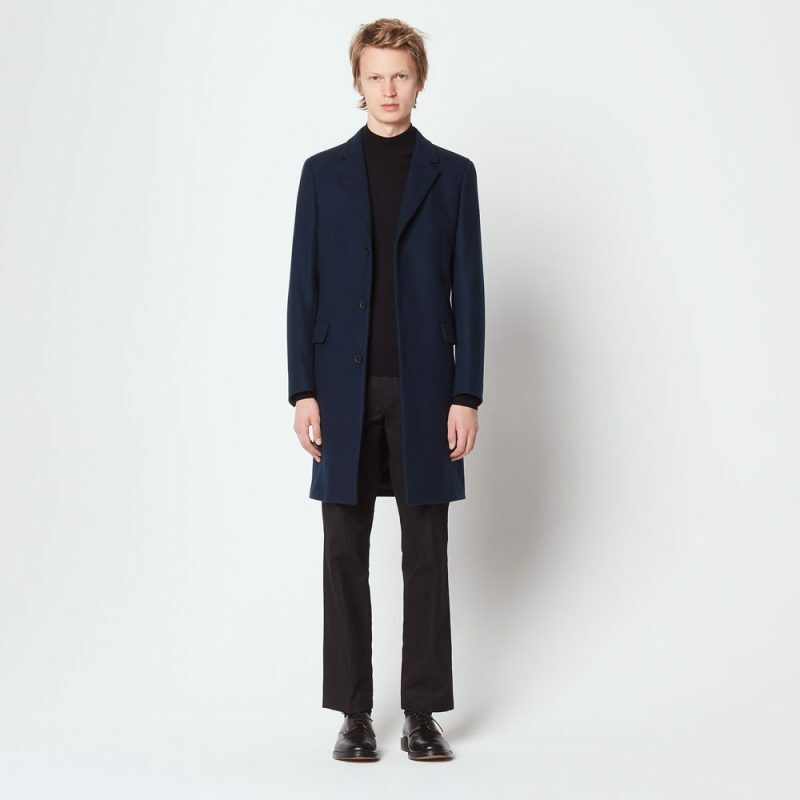 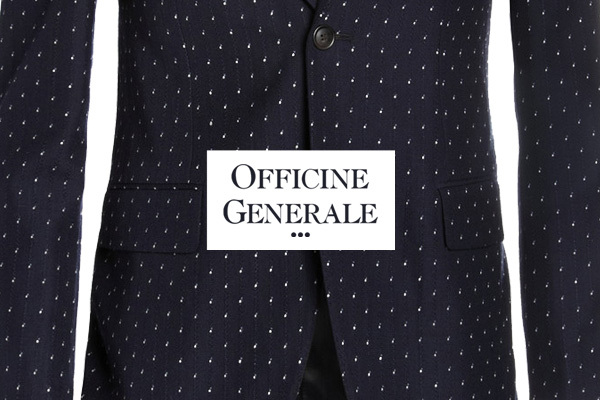 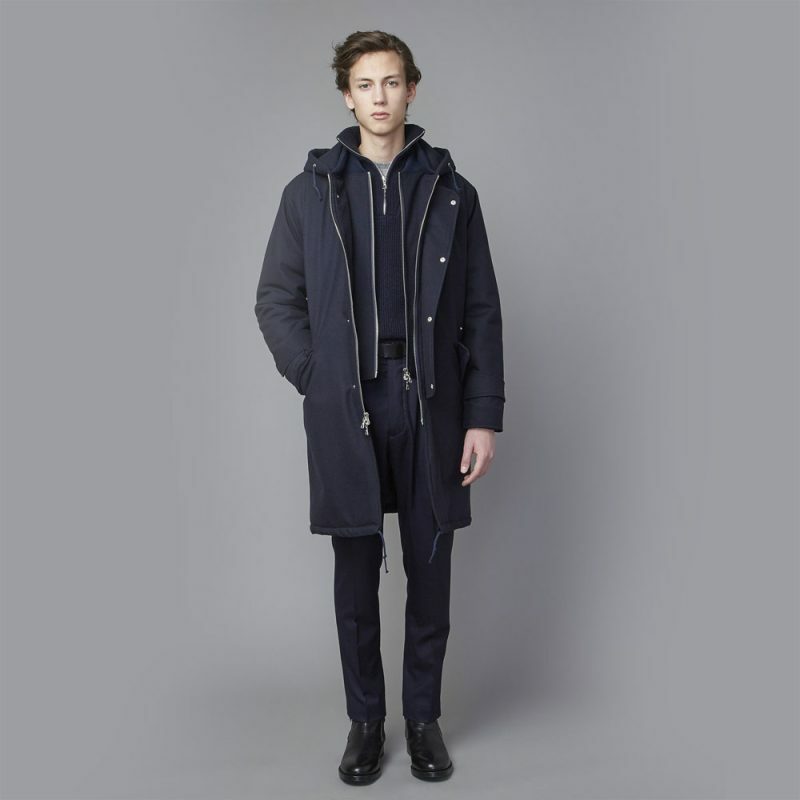 Made of navy wool-blend and tailored in a tidy slim shape, the coat features notch lapels and a single-breasted close. 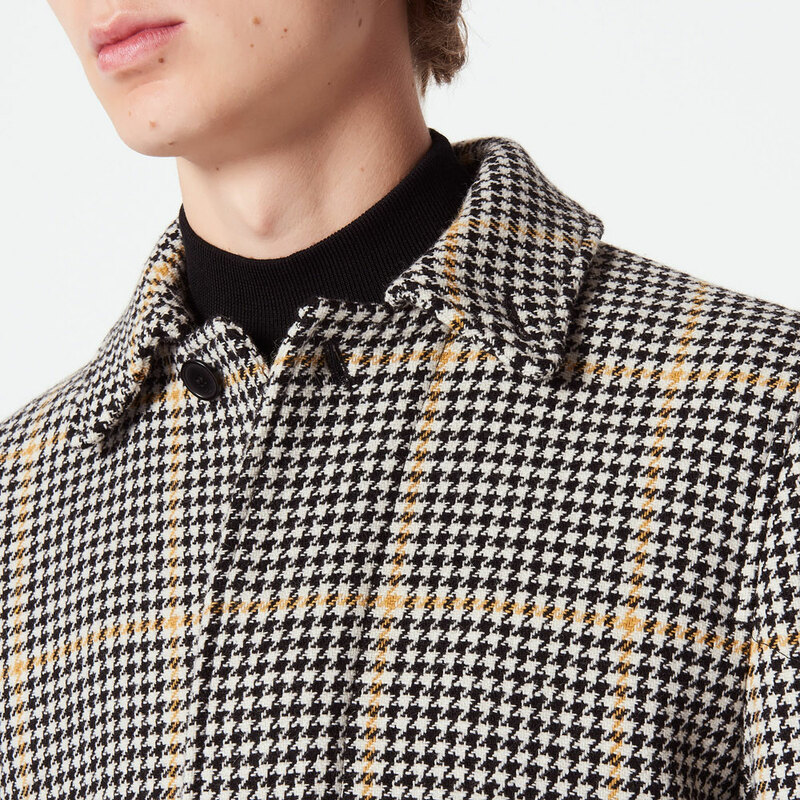 Designed to resist pilling, this Majordome Chesterfield coat will likely continue to look as good as new for many years to come. 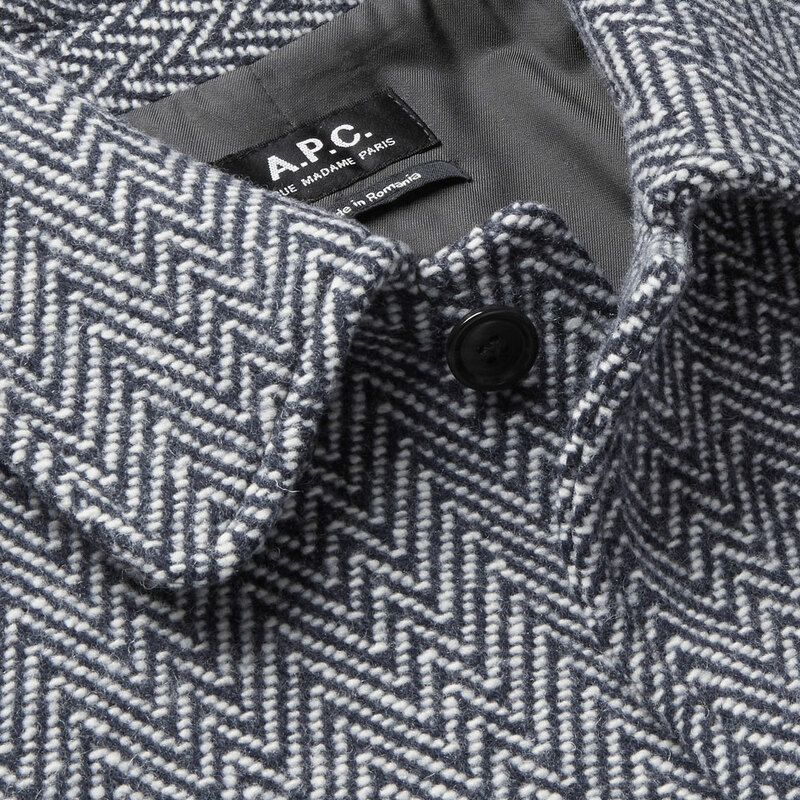 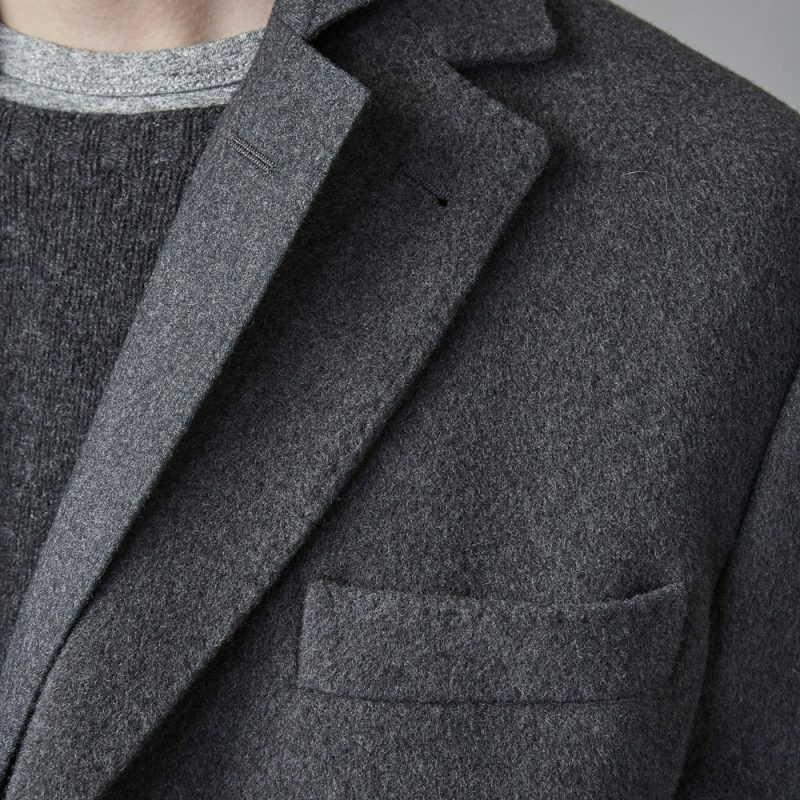 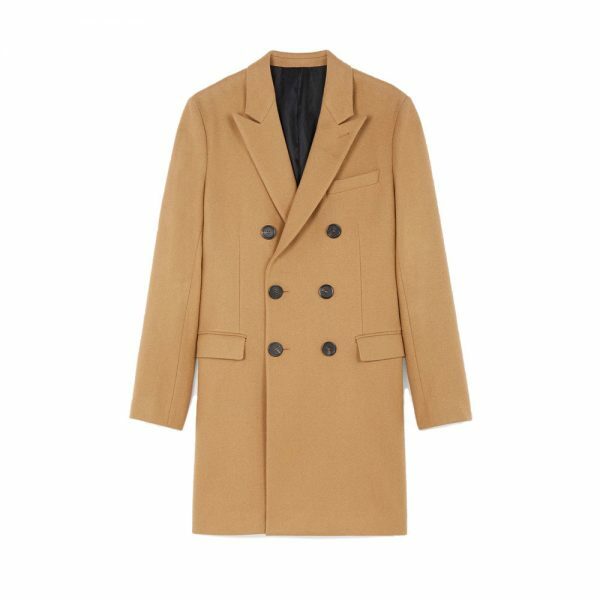 This coat is built with straight cut and tailored collar. 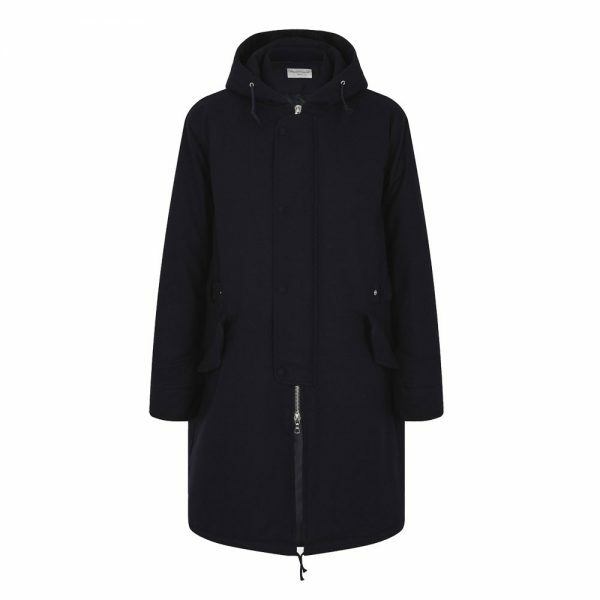 Made of Navy and white wool-blend in Italy, this coat features two front welt pockets – perfect for keeping your gloves and mobile phone when you’re on the move. 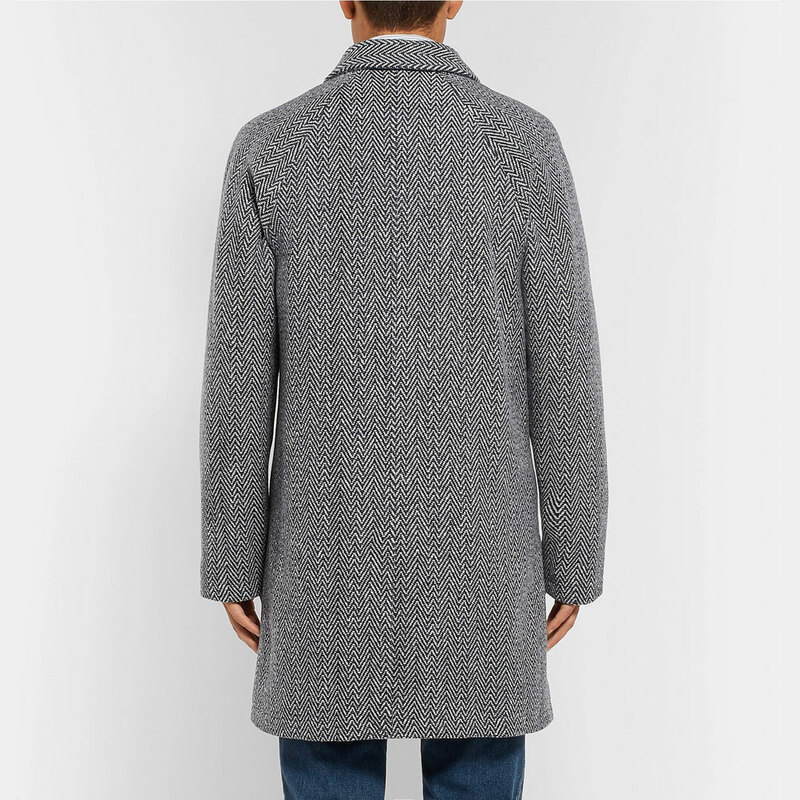 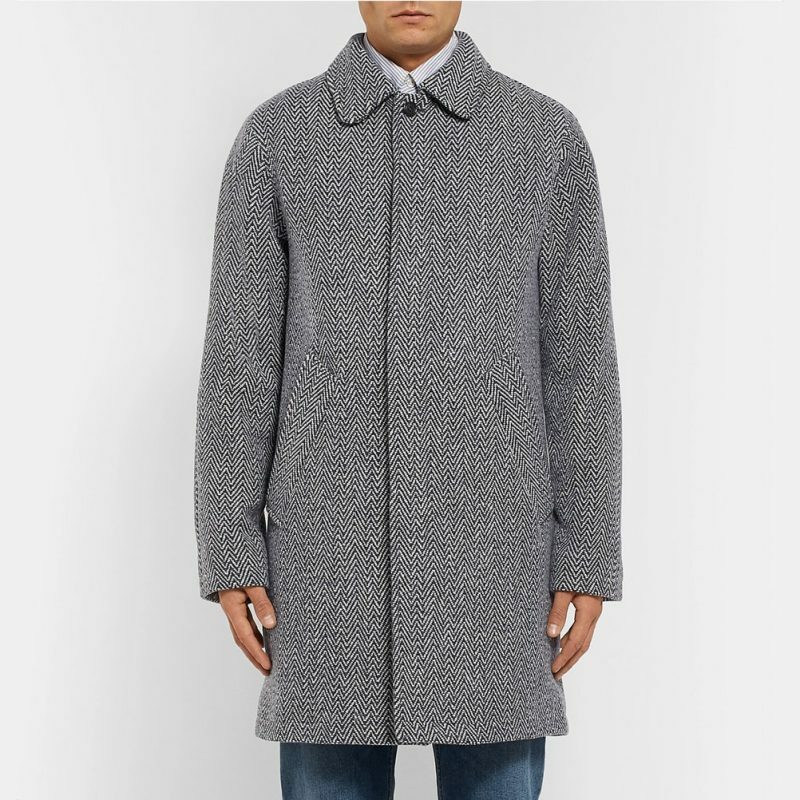 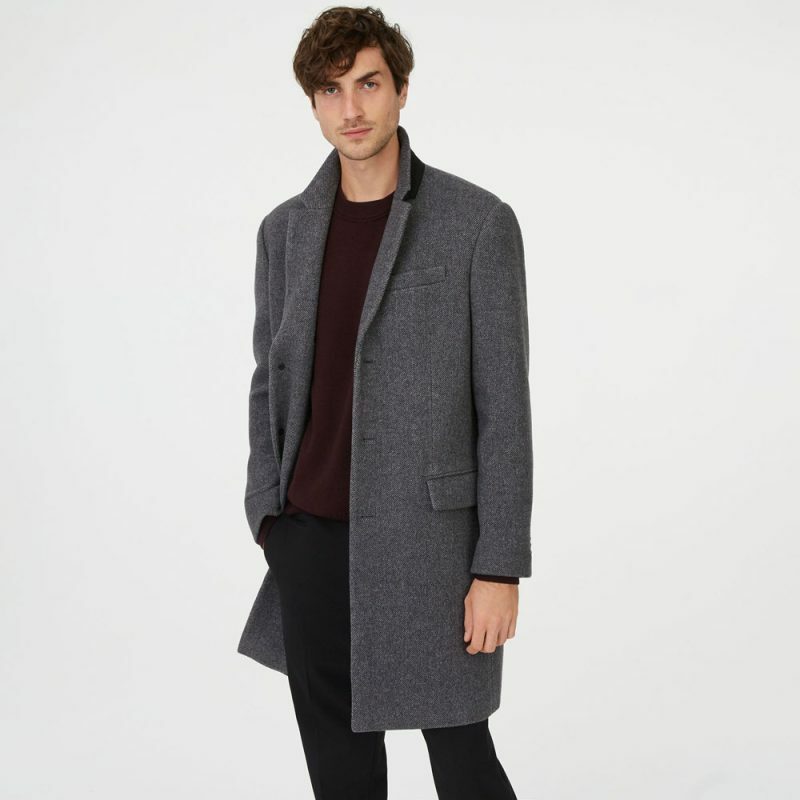 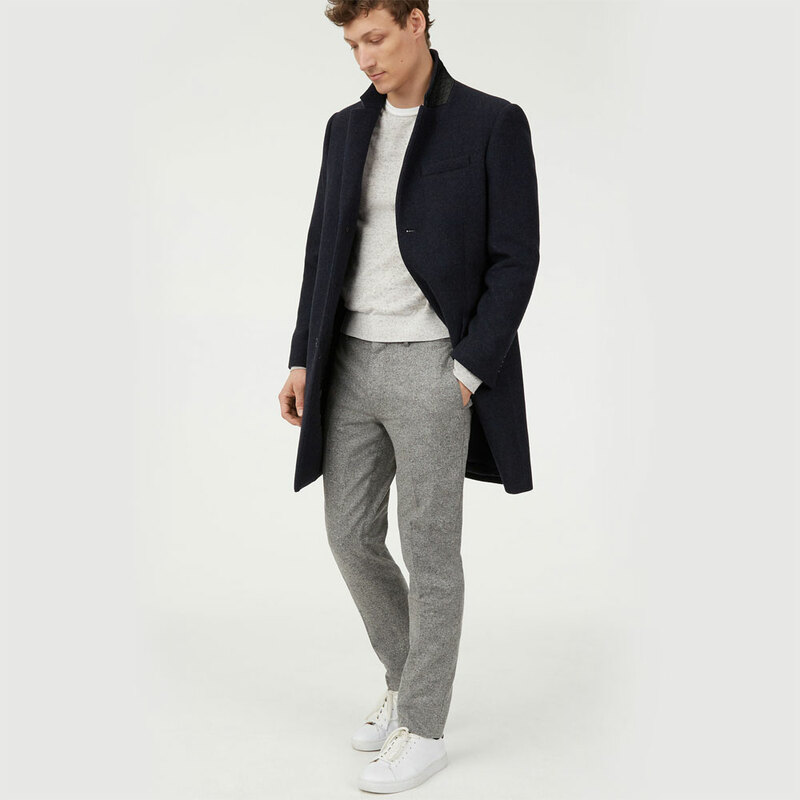 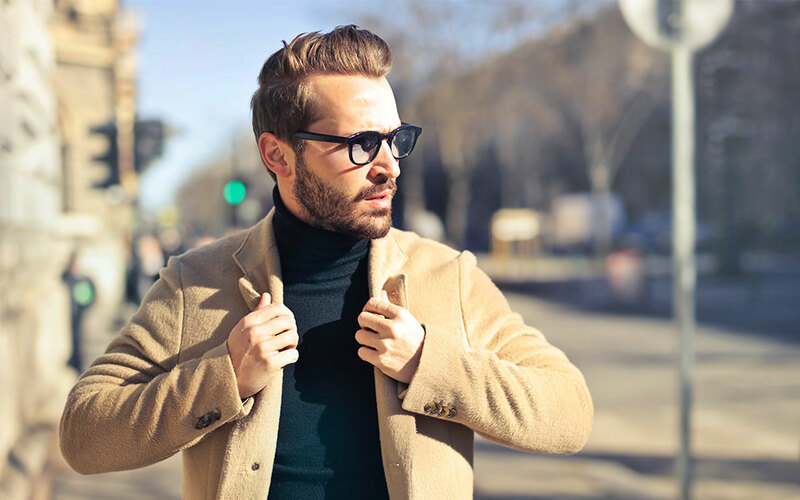 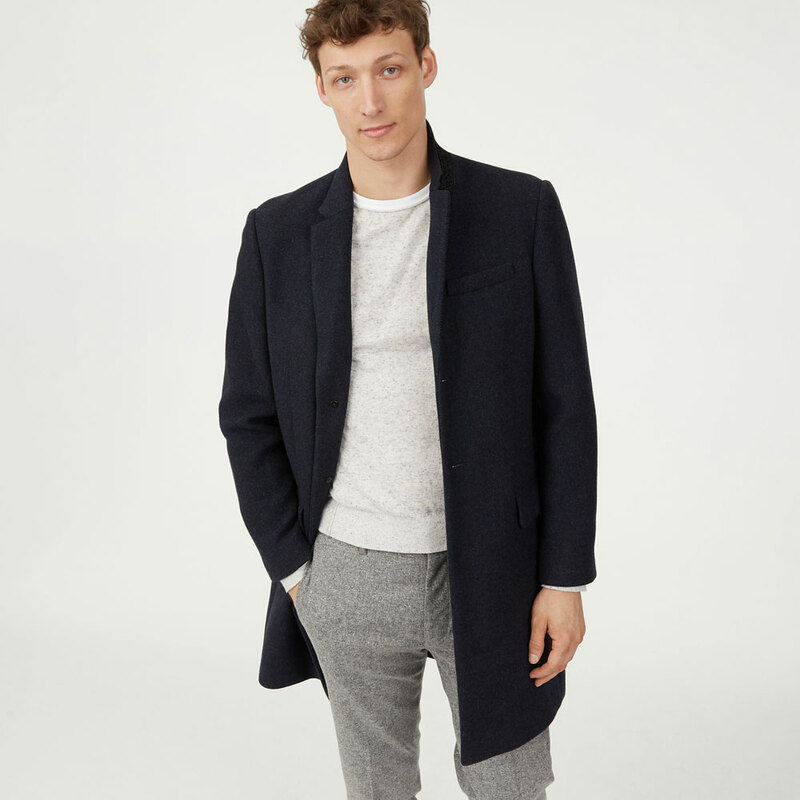 Affordable and timeless, this Wool Twill Topcoat from Club Monaco is a winter style staple for men who appreciate quality and simplicity. 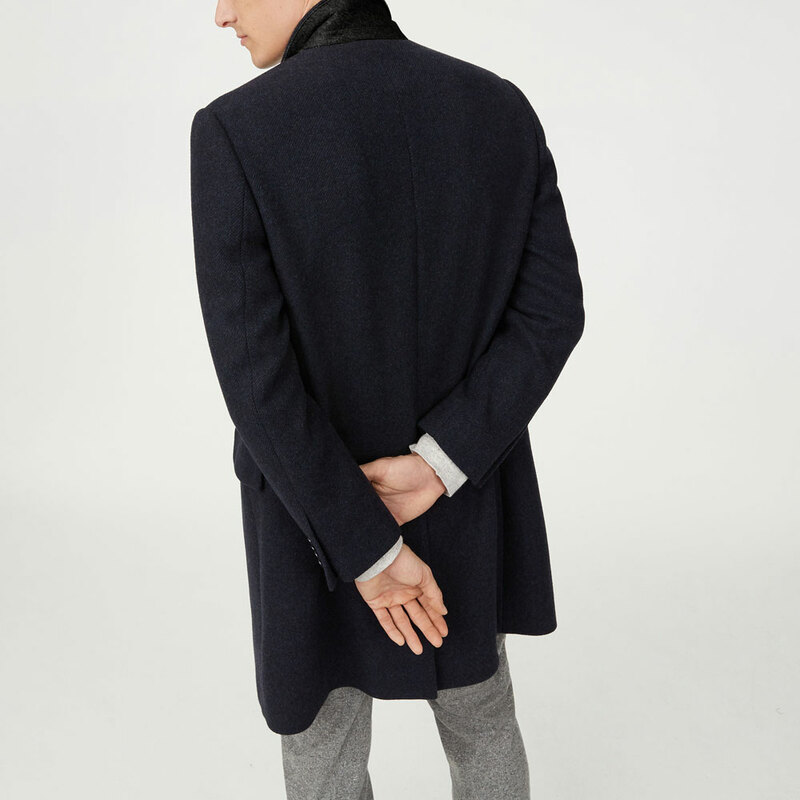 This topcoat gives you a polished look when paired with casual wear, suitable for all seasons with smart layering. 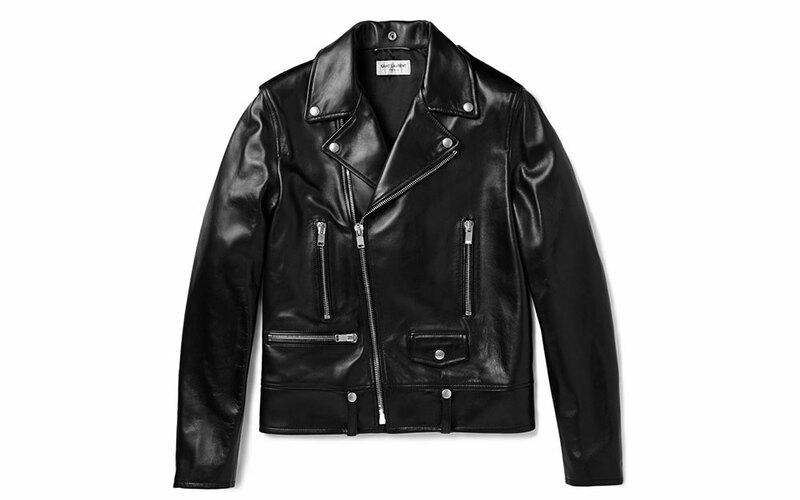 Check out more coveted products here. 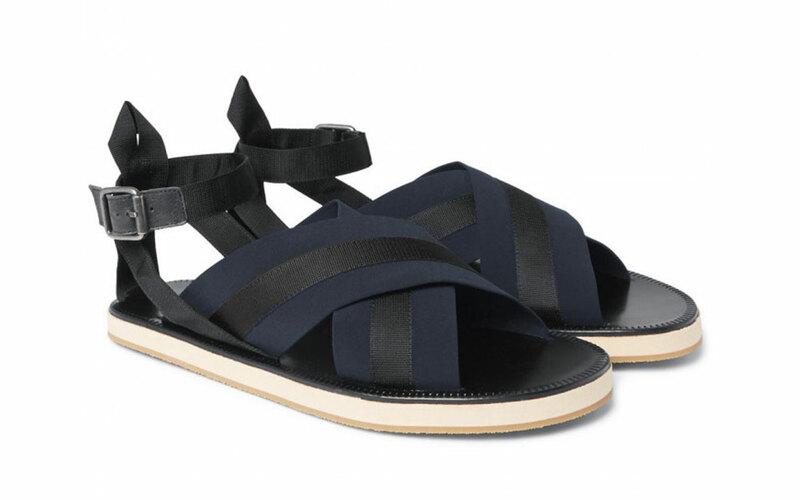 We’ve scoured the Internet and came up a list of stylish minimalist sandals, priced from affordable to designers.